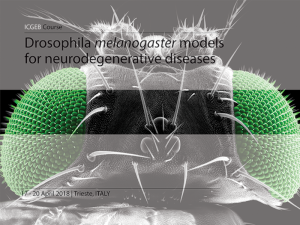 Drosophila models of neurological disease are essential to understand complex human diseases in many different aspects of the biomedical research. 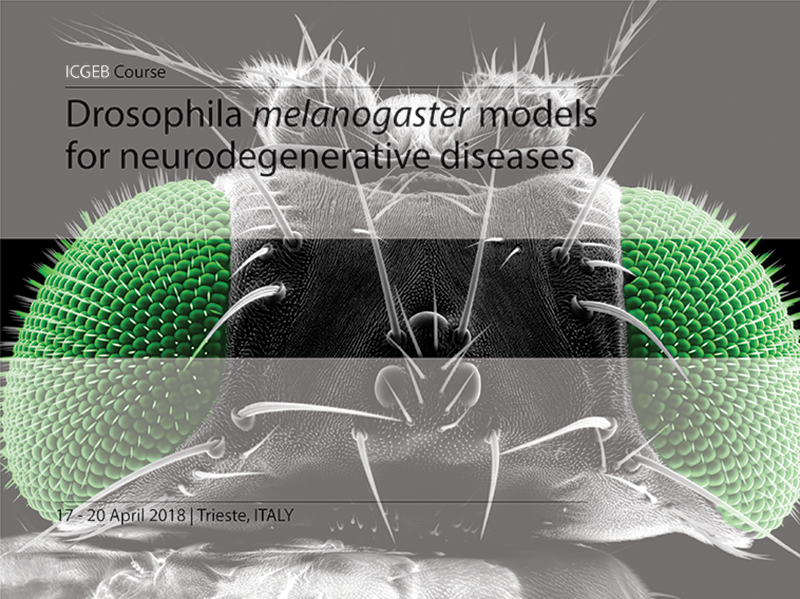 The programme of the course will cover the latest achievements in Drosophila state-of-the-art methodologies aimed to the accurate representation of human disease and the design of innovative therapeutic approaches. The course is particularly aimed to train ICGEB member countries students and young scientists interested in adopting Drosophila as experimental system. To maximize the benefit of the programme, priority will be given to participants already working with this model organism. The event will start with an introduction of Drosophila neurogenetics. This will be followed by an overview of various strategies to induce cell-type specific gene expression or silencing in the nervous system. In parallel, the course will also instruct participants on how to measure synaptic activity, perform in vivoimaging analysis, assess complex behaviors and evaluate these Drosophila traits in a quantitative manner. These topics will be examined using recent examples of disease model that have been developed and are being actively used by all the faculty members.